Today's post on a very different product from a brand which you might have heard. I am an ardent lover of powder cleansers, as you might be knowing. 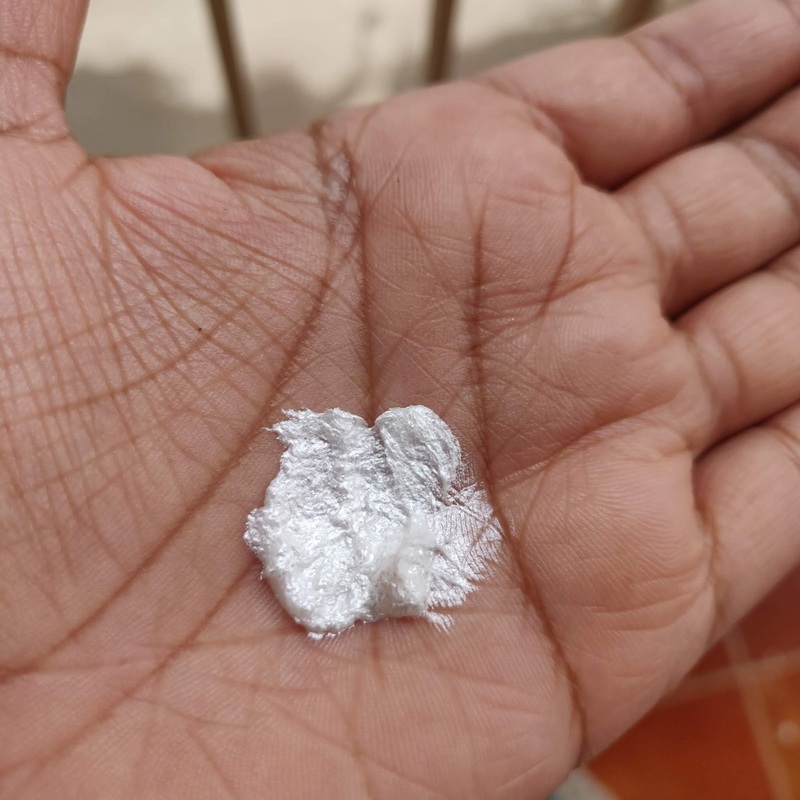 I even use foaming ones in between when am lazy to mix powder cleansers and use. But I have never tried any cream cleansers. The truth be told, we have been told or warned that cream cleansers are only for dry to normal skin types. But as is I was not fancied by them so using them was out of question. So when Juvena Herbals sent me their best seller Mint Cleanser for review, I used it with a little skepticism. The fear of getting breakouts is a constant for person who has oily, acne prone skin. But this cleanser has proved me wrong. The mint cleanser is housed in a white plastic tub, with a screw lid. The tub is nothing fancy and is very simple which carries all product information along with the manufacturing address and bar code. I wished the jar was a bit fancy to make the packaging a bit luxurious or attractive looking. Coming to the cleanser, it has ultra white, shiny, glazy look. It does seem a bit artificial at a glance. 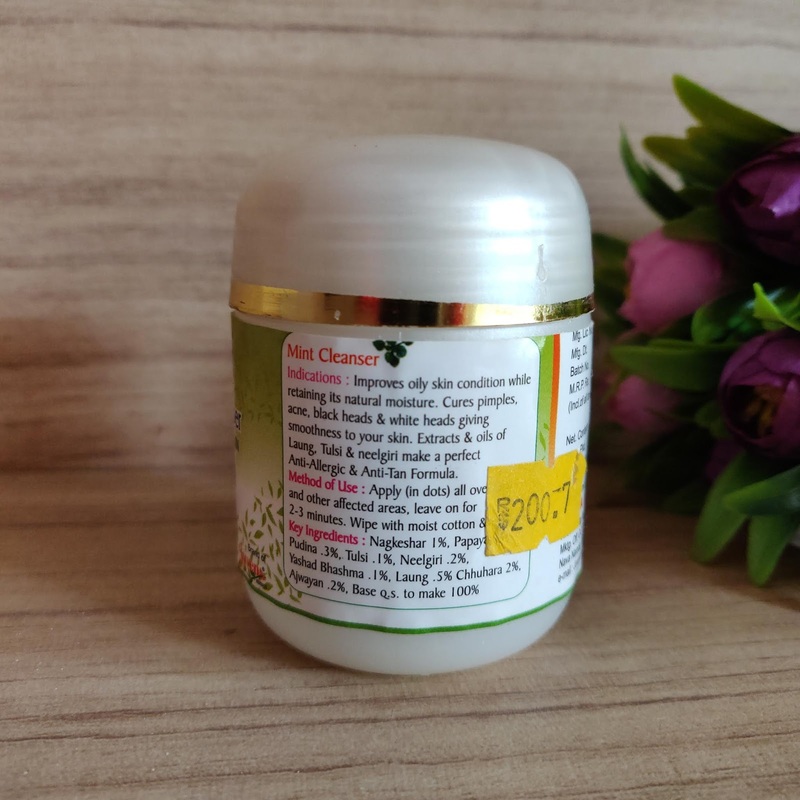 The fragrance of the cleanser is herbal and has a smell of laung, pudina. Although the fragrance is strong it isn't irritating. I like sniffing the herbal scent which feels very authentic. If you have ever used a dantmanjan, the old version ones, ut smells exactly like that. 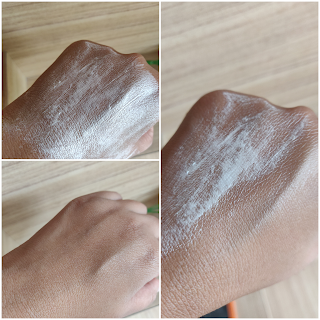 Coming to the texture of the cleanser, even if it looks glazy, it is extremely non sticky and gets washed off easily. You can even test it using a small amount on your finger and holding it under running tap water, to test it. The main thing which I liked about the cleanser is that a small amount is sufficient for ecah usage. 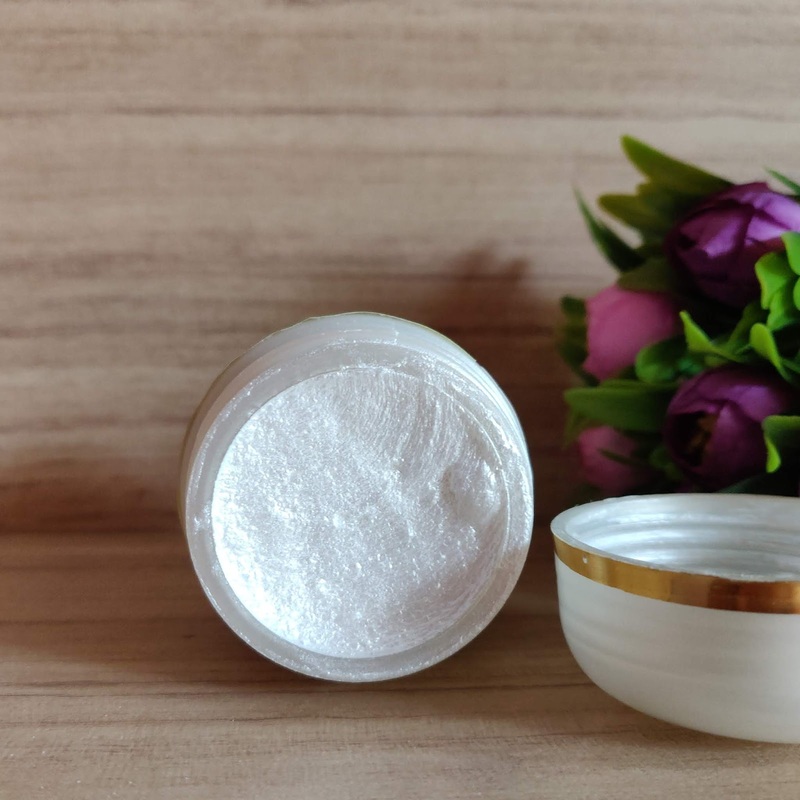 So coming to the usage, it is to be used like a cleansing milk, take a small amount and spread evenly on your skin, massage a bit and wipe off with a damp cotton pad. Once we start wiping it off with a damp cotton pad it's texture turns into watery milk, which again is extremely non sticky. The business part now 😁, the product shows amazing effects on the small zits which I got during last month. They vanished in just one day 😀. The bigger acne which I had on my jawline took 3-4 days to reduce in size and eventually vanish (with a mark though). The cystic ones do take 7-8 days to just flatten and then vanish after a span of 3-4. Last month was a bad phase for my skin and I thought of immediately putting this mint cleanser to test. If you know, I have hormonal acne and I do get one or more breakouts no matter what I do. 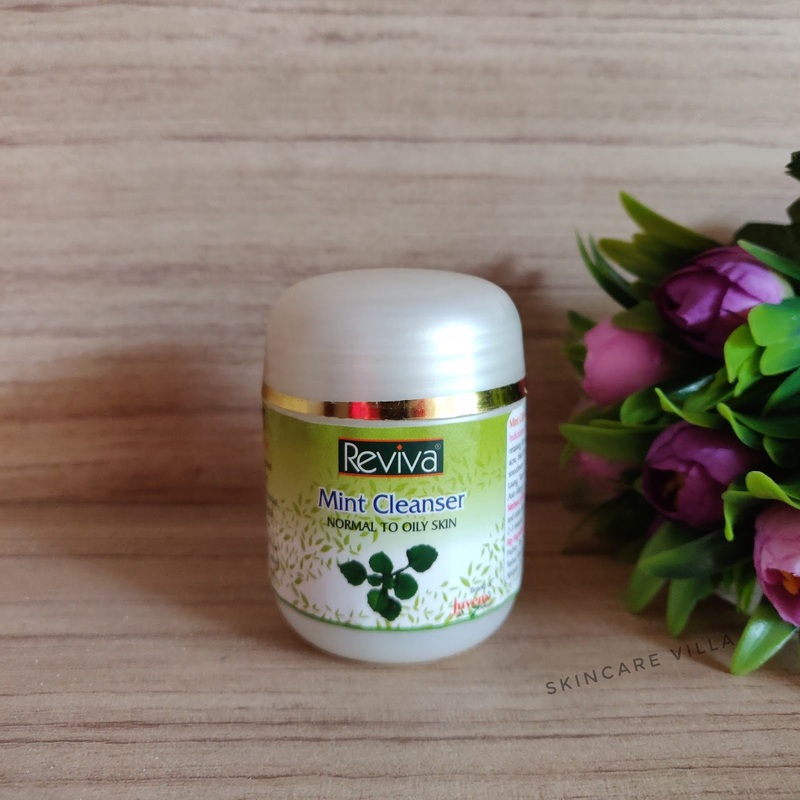 The one thing which has impressed me is the fact that inspite of being a cream cleanser, Juvena Herbals Mint Cleanser helps in deep cleansing the skin without any sticky, or greasy feeling. It was able to cure my small zits, medium size acne and cystic ones over a period of two and half weeks. The cleanser leaves the skin squeaky clean without a hint of sticky or greasy feeling. I use the cleanser just once a day, sometimes twice, not more than that. Although while using the cleanser, I didn't get any new breakouts. I couldn't continue using it for one full month as I started using some other products and eventually forgot to use this 😔. All in all Juvena Herbals Mint Cleanser helped me a lot to tame away my acne during a rough phase of my skin (early July), which is more of a hormonal thing. I will recommend using this to people who have extreme acne problems, and are looking for a quick fix. Although everyone's skin is different and a patch test is recommended for all. Also I haven't tested whether it removes makeup or not. I liked the fact that Juvena Herbals Mint Cleanser changed my notion about cream cleansers. The best part is it also made my small zits and medium sized acne vanish over a span of one week. The product also prevents white heads and black heads from coming back. Rather this is one of the products which helped me eradicate white and black heads along with my dedicated routine with other products. Do get this if you have severe acne problems. As long as a product works and gives me exceptional results, I don't mind whether it's natural or not. And as we say don't judge a book by it's cover, don't judge any product by it's packaging 😀.